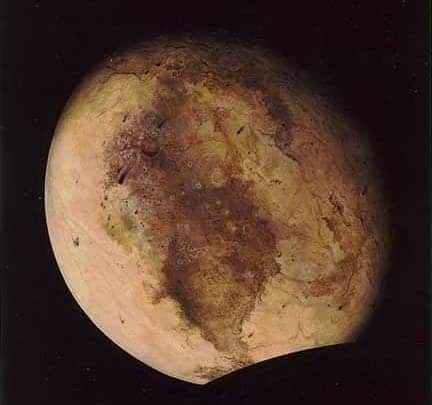 Pluto is so upset that it’s no longer a planet, that it’s turning all red with anger ! No, seriously. There’s been a whole lot of “Pluto-related news” these days including the 2006 chalking off of the planet list, and naming it a “dwarf planet”, and the news just gets better and better. Recently, astronomers were stunned to find out that the planet is actually changing colors, and turning more and more red. The official color is still orange-yellow, but the red pigmentation has increased with about 20 percent in a relatively extremely short period. Due to the great distance and the the fact that one Pluto year has 248 Earth years it’s hard to explain why this happens, but the most satisfying theory is that the hydrogen atoms are being stripped from Pluto’s methane by solar winds, leaving carbon rich areas that look redder. My theory is that Pluto is crazy angry because of the whole “you’re not a planet thing”… so let’s just call it a planet again, and I’m sure it’ll all go back to normal.